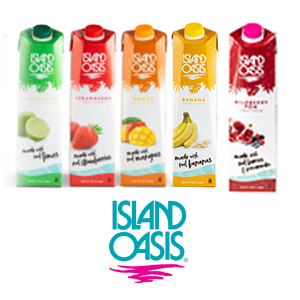 Island Oasis® knows that you understand your consumers crave a refreshing celebration they can feel good about. Our full line of clean-label, all-natural, and on-trend beverage mixes delivers on our purpose to help you share pure paradise. As your beverage partner, Island Oasis is committed to bringing you a complete portfolio of market-relevant products, equipment, and support — all to ensure your guests can experience both satisfaction and enjoyment through responsible indulgence.